A member of Husch Blackwell’s Higher Education group and Managing Partner of the firm's Chicago office, Julie’s practice is dedicated to serving private and public institutions of higher education. Julie has concentrated experience advising colleges and universities on legal issues related to campus safety, including Title IX, the Clery Act, serving minors and emergency planning and response; financial aid, including Title IV compliance, loan servicing and collections; as well as development matters, including fundraising, major gifts and permissible use of charitable contributions. 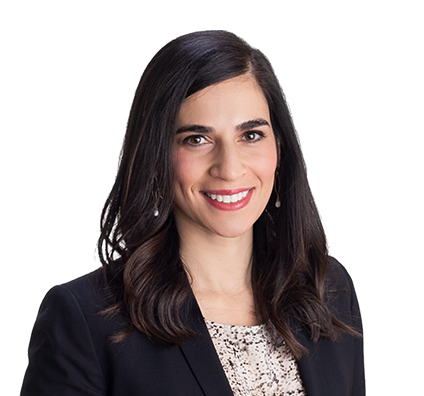 She also provides legal counsel on issues and litigation related to faculty tenure, student conduct, disability accommodations and employment issues. In addition, Julie has advised institutions on issues involving free expression and academic freedom, student privacy, contracts and public/private partnerships. Julie also focuses on emerging legislative, regulatory and policy initiatives at the state and federal levels impacting institutions of higher education, and provides risk management support to institutions through the development and review of institutional policies, procedures and practices. Before joining Husch Blackwell, Julie served as the deputy general counsel for higher education and federal student aid at the U.S. Department of Education, and prior to that, as the chief of staff and special counsel to the general counsel for that agency. Most recently, Julie served as associate general counsel at Northwestern University, a major research institution in Evanston, Illinois. Julie has previously practiced as an education associate at a mid-sized Chicago law firm, and started her practice as an assistant attorney general in the Education Section of the Ohio Attorney General’s Office. Minors on Campus: What Are the Risks?